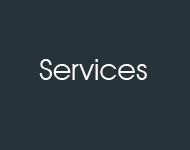 Our company name reflects the focus of support to you. Our experience is well suited to support the needs of small and medium sized manufacturing companies, where key leaders need to wear several hats. We have "skin in the game." We anticipate that our first engagement with you will be the first of many. Our goal is to over deliver and be your resource of choice when you need additional help. The only thing more important than client satisfaction is our reputation. If you feel we have not performed to your level of expectation, simply tell us. We will "make it right" at no additional expense to you, or reduce the invoice, or do what is fair. The West Point Honor Code stands as a benchmark of our business, and there are no weasel words or lawyer escape clause to determine if you are satisfied.